Prevention is always better than treatment as there is no cure and it is as easy as leading a healthy lifestyle from a young age, or changing to a healthy lifestyle as young as possible. 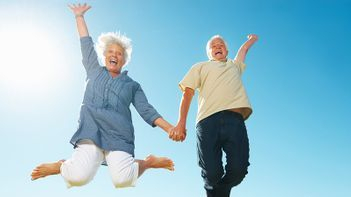 We are happy to help you in your first step to achieving an Osteoporosis-free life with a simple scan and great preventative advice. Remember, diseases that appear later in life, like osteoporosis, do not arise from what we do late in life; they are formed gradually over our entire lifespan. It is never too early to protect yourself with diet and lifestyle changes. Eat a healthy diet containing lots of fruits, vegetables (especially leafy greens), whole grains and legumes. Minimise meat, dairy, salt and highly processed foods and fizzy drinks. Some Nutrients for Bone Health: Vitamin D - the Sunshine vitamin, is essential for the absorption of calcium, as is Vitamin C, found in fruit and vegetables, breakfast cereals and other fortified foods; Vitamin K, found in leafy green vegetables, brassicas and soybeans; and Magnesium, found in breads, cereals, vegetables, pulses, nuts and seeds. 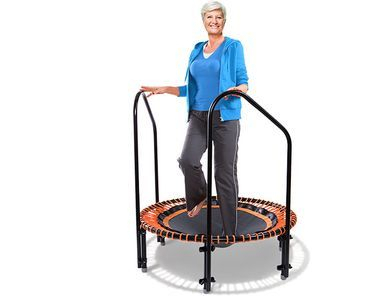 Weight bearing exercises are performed whilst on your feet and so working against gravity. This helps to build bone strength. Examples are jogging, walking, tennis, dancing, golf, netball. High impact exercises (aerobics, running) are better than low impact exercises (walking, biking). High impact exercises may not be suitable for everybody so talk to you GP or Physiotherapist before undertaking any new exercise regime. 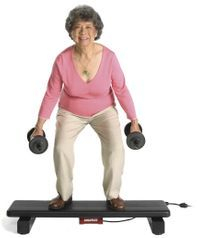 Resistance exercise uses the muscles to push your limbs against a force or weight, strengthening the bone. These exercises pull on the bones attached to the muscles increasing bone mass. Resistance exercises may not be suitable for everybody so talk to you GP or Physiotherapist before undertaking any new exercise regime. Alcohol: Reduce your alcohol intake. Alcohol interferes with the absorption of calcium. Smoking negatively affects the production of bone cells and hormones such as oestrogen. 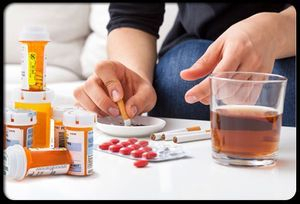 Prescription Drugs: Some prescription drugs may cause bone loss. Talk to your doctor about the side effects of any medications you are on. If you are at risk of Osteoporosis we will recommend you visit your family GP who will advise if you require further testing or treatment. If you have low bone density, preventing falls is the key to preventing fractures. 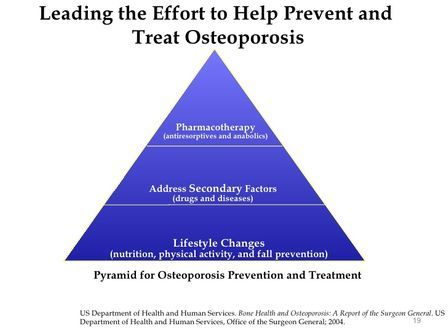 Look through our blog for even more information on strategies to prevent and treat osteoporosis. My Bone Density is Low. What's Next? A low bone mineral density reading isn’t what anyone would choose, but it has an upside: you have a personalized wake-up call to start protecting your bones now while you have time. And you do have time — the latest scientific research, along with the US Surgeon General, shows you the right path to natural bone health. Conventional medicine has created the impression that low bone density is a death sentence for your bones, and that it’s just a matter of time before osteoporosis destroys your life. But low bone density does not mean osteoporosis is inevitable. The most important thing for you to know is that your low bone density does not mean you need to start taking a bone drug — though that’s what pharmaceutical companies would like you to think. What you can do now is focus on the factors that will offer the most support for your bones. Some are beyond your control, including body type and family health history but there are many other important contributing factors over which you have complete control. 1. Supply consistent bone-building nutrients from whole natural foods. Supplement this with Vitamin D and any other nutrients you cannot meet your requirement for from food. 2. Shift toward eating more alkaline foods. When your body is “acidic” bone loss accelerates. 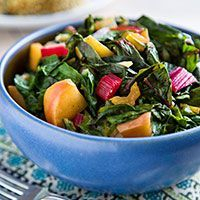 You can change that by eating more fresh vegetables, nuts, seeds, fruits, along with plant proteins to help keep the all-important buffering minerals in your bones where they belong. 3. Start exercising today. 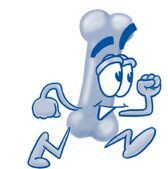 Any form of exercise (especially if it’s weight-bearing) can help halt bone loss because exercise builds muscle and muscle triggers bone-building. Some particularly effective exercise strategies are: hill/stair walking, rebounding, walking with a weight vest and lifting weights. 4. Minimize your stress. Few factors cause as much damage to your bones as the major stress hormone, cortisol. Frequent worrying or chronic stress stimulates excess production of cortisol. Try to reduce the stress-causing factors in your life and learn stress reduction methods to off-set their negative effects. Our bones can repair themselves by continually going through a natural cycle of breaking down and building back up — that’s how they’re supposed to work. But daily activities, like missing key nutrients, or not doing enough weight-bearing exercise, can have a negative impact on that repair process. Eating a diet with too many acid-forming foods can interrupt the repair process too, forcing your body to steal minerals out of your bones to neutralize all that acid. Other culprits include systemic inflammation and an overload of chemicals and pollutants, both of which prevent bones from cycling through their normal phases. Without the natural capability to self-repair from the little microfractures caused by everyday stress and strain, your bones will weaken and lose integrity, and fracturing becomes much more likely. That’s when low bone density really leads to a dangerous condition. Focusing your bone health efforts on supporting your bones’ natural break-down/build-up cycle is by far the most valuable step you can take following your low bone density result. Use your scan as motivation to examine all the possible risk factors that may affect your individual bone health, and talk them over with your healthcare practitioner. If you feel unable to implement the necessary changes on your own, consider a personalised consultation to help you with this process. I’ve seen women turn around their bone health under all sorts of conditions. You’ve just been given an invitation to get a head start on taking care of your bones, and it’s smart to accept it. Your bones will thank you for the rest of your life.